Lightweight construction, powerful tone and the ability to attach to a Quilter block head. 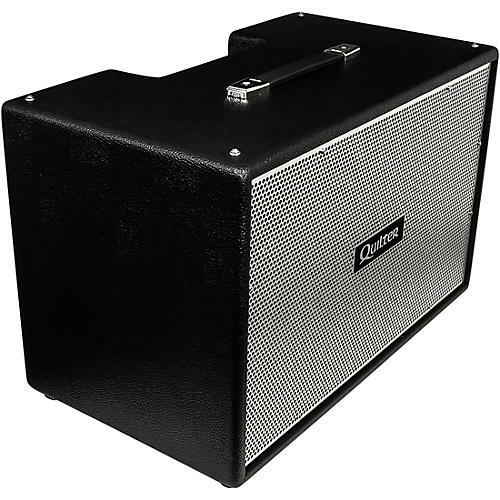 The Quilter Bassliner 1x12C is a ported rectangular cabinet featuring an earth-shaking 12 in. Eminence Kappalite 3012LF neodymium speaker paired with a powerful Eminence BGH25-8 horn. All Quilter Bassliner cabinets are constructed from ultra-light plywood to minimize every ounce of weight without sacrificing power or tone. The Eminence BGH25-8 super tweeter is paired with the Bassliner driver to provide a smooth and efficient full-range response. Paired with Quilter Labs integrated crossover network, it gives a natural and airy response.